Just last month, the Halo World Championship 2018 season reached its climactic crescendo right here in Seattle as Splyce took home the trophy, the title, and the lion’s share of the $1,000,000 prize pool. While the offseason is good time for both players and fans to catch their breath after another incredible few months of competition, it’s time for Halo esports action to officially return, and with it, even more amazing events – including a few surprises never before seen in the Halo Championship Series. 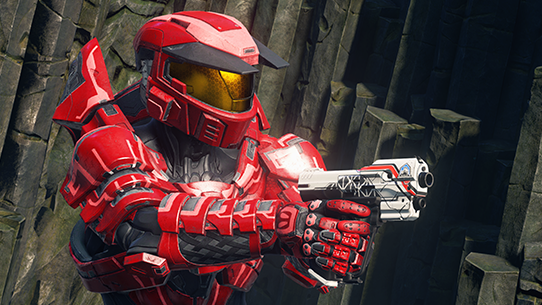 We’ve also been working to overhaul the tournament gameplay settings which you can read more about the overall approach and plan here and the most recent update about Forge maps and Spartan Abilities here. 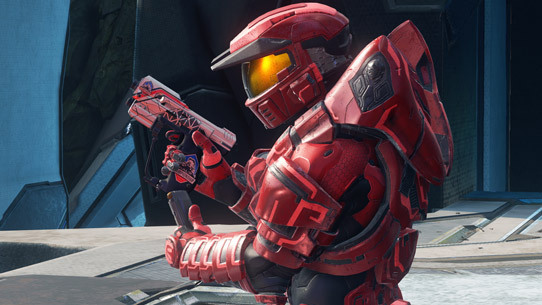 Before we jump into the specifics, we’d like to openly communicate our goals and motivations for the season ahead and how we’re approaching them, as well as reiterate some of the core goals of the Halo Championship Series all-up. At the core of the HCS, it’s important for us to support players and team organizations to help foster their growth in Halo esports. We want to focus on hitting a consistent and high-quality bar across everything that we do – from our events to our broadcasts, and more. It’s important for us to continue to improve on having more open and honest communication with our fans, players, and team organizations. We want the HCS to be welcoming and inviting to new fans and players, inspiring a new generation of participants to join the community, attend events, and win championships. We’ve got a jam-packed schedule that will kick off with online tournaments in June, and continue all the way through November. Just like last season, we’ll once again be partnering with world class tournament organizers MLG and Gfinity. For the first time ever, the Halo Championship Series will head to New Orleans in our season kickoff event. We won’t be alone however, as our brothers and sisters at Gears Esports will be also hosting a Gears Pro Circuit open event in the same venue. For the first time in nearly a decade, Halo and Gears of War will share the same roof – and it will all take place in the Big Easy with our friends and partners at MLG. We’re also excited to announce that the tournament will feature a $250,000 prize pool – the biggest prize pool for an open Halo event since the inception of the HCS. Players and fans can also expect another epic $5,000 open FFA for individual players looking to join the fray. We can’t wait for fans of Halo, Gears of War, and Xbox to join us down in New Orleans for what will surely be an amazing and unforgettable atmosphere for all involved. Perhaps one of the most exciting aspects is that this event will be a global open, which means players and teams from any region can attend and compete! More information including tickets and team passes will be arriving in the coming weeks. 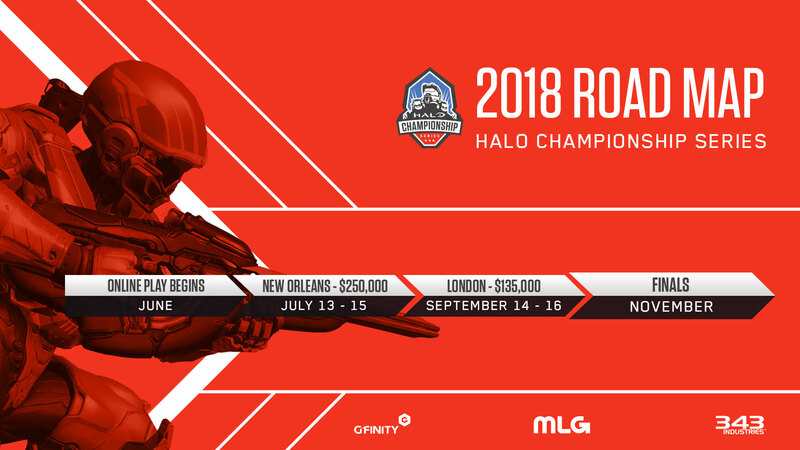 Following New Orleans, the HCS will once again cross the Atlantic for another stellar event at the Gfinity Arena in London, England. This time however, the event will be open to all competitors around the world, making HCS London 2018 the first official global open event outside of North America! HCS London will feature a prize pool of $135,000 - the biggest official prize pool ever offered for a European Halo tournament. And of course, we’ll also have a $5,000 FFA tournament for those looking to test their individual skill. With top teams from around the world being flown into London based on points accrued, the region has never seen a more high-profile and competitive tournament, and we hope that everyone will join us for this landmark event hosted by the fine folks at Gfinity. 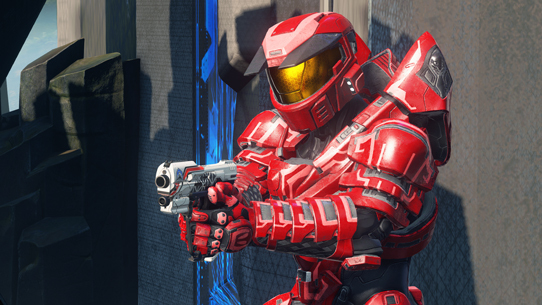 The Finals for the 2018 season of the Halo Championship Series will take place in North America in November. Be on the lookout for more details in the coming months including specific date, formats, location, and more! There’s no better time to join the fun – be sure to reach out to your local Microsoft Store for more information. To see if there’s a store in your area, head here. As the Halo Championship Series closes out its fourth year, we’re excited to see the community continue to grow alongside the amazing competition put on display at each event. Whether you’ll be watching from home or joining us in person, we can’t wait for you to join us for what’s sure to be the best season yet. For all the latest, keep it locked to Halo.gg and follow @HCS on Twitter.